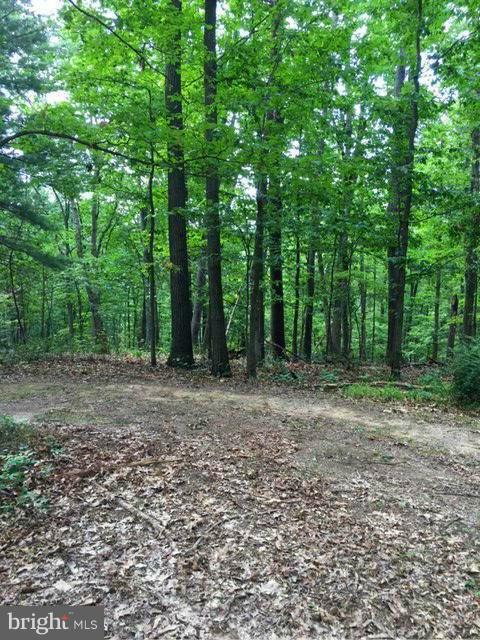 6.41 secluded wooded acres to build hunt or play on.Close access to "SLEEPY CREEK WILDLIFE MANAGEMENT AREA" private with close access to public hunting area, rolling lot is ready for your dream home or cabin. .Community access to park area and sleepy creek overflow. May need 4 wheel drive to access, especially after rain...have to cross stream. Old cabin can be updated or torn down. Back of lot is waterfront but at the bottom of a very steep hill and not easily accessible.